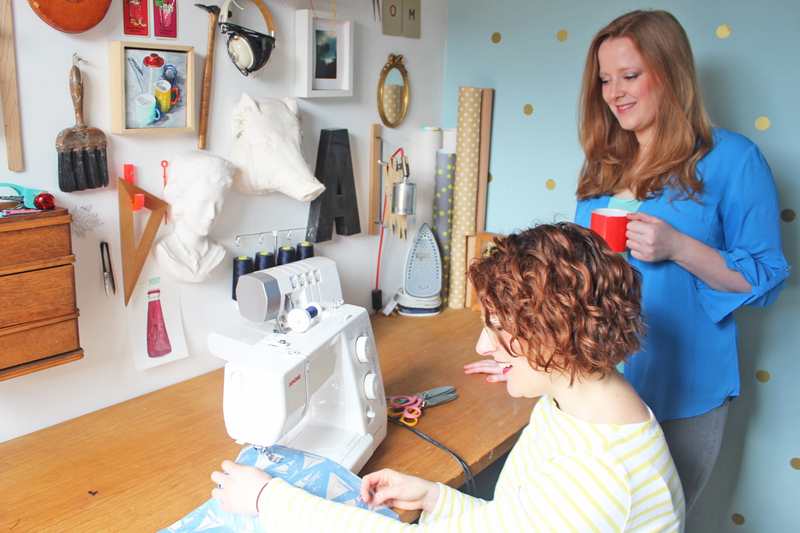 Are you new to sewing and want some help getting started? Starting any new hobby can be overwhelming though and we are here to help you get started with dressmaking. We’ve brought together our top tips and resources with beginner sewing patterns to get you started with this new creative hobby. Let us take you on a sewing adventure! 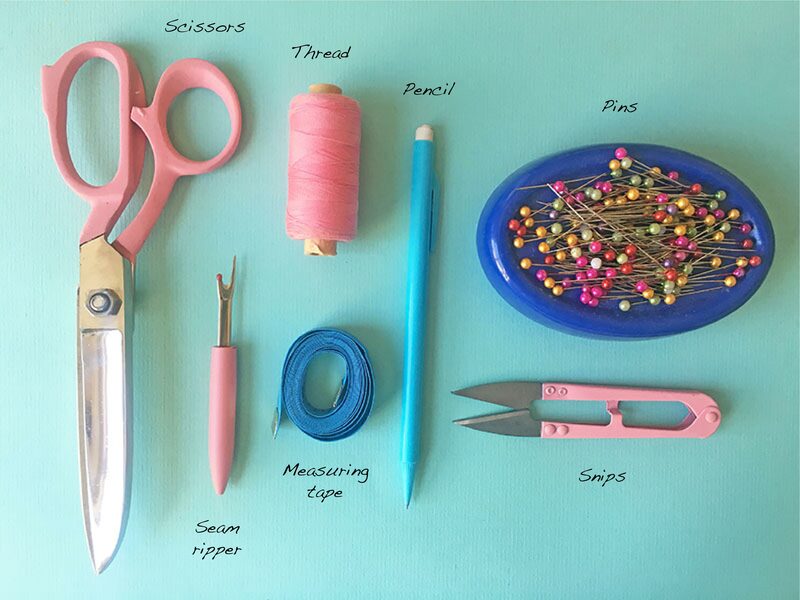 When you first start sewing there are a few items you need, this includes: sharp dressmaking scissors (for cutting fabric), a seam ripper (for when things don’t go quite right! ), thread, a measuring tape, pencil (to mark your pattern and make notes), pins and snips (or sharp embroidery type scissors to cut threads). You will also need a sewing machine, ideally you could borrow one from a friend or relative to test out. If you decide to buy one we can recommend the CXL301 sewing machine from Janome, which we both used when we first started to sew. Cotton fabrics are the easiest to start sewing with as they have a bit of structure so are easier to pin together and put under the sewing machine. Buy some less expensive fabric for your first couple of projects, up to £8 a metre. Either visit a fabric shop and ask the shop staff to point you in the right direction or buy online. Look for light to medium weight cottons (avoid anything for furniture, upholstery or accessories). Online fabric shops which sell a range of beginner friendly cotton fabrics include: Fabrics Galore, Sew Over It, Cotton Reel Studio, Lamazi Fabrics, Sew Me Sunshine, Fabric Godmother, Cloth and Candy (great for children) and Cloth Spot. We have brought together our top 10 sewing patterns for beginners here. These simple dressmaking patterns have easy instructions and a simple design. They are a great place to start if you’ve not made a garment before and all use cotton fabrics. We’ve only listed patterns that come in a printed format as this is easier to get started with, rather than downloading a digital PDF sewing pattern which you can print at home. We’ve also put together a special collection of blog posts called The Pattern Tutorials, which will guide you through how to use sewing patterns. We cover everything from reading the pattern envelope to measuring yourself properly. The best thing about sewing, apart from making your own clothes, is being part of a fantastic community of makers. Anyone you speak to in the sewing community will always say how friendly and helpful other dressmakers are. 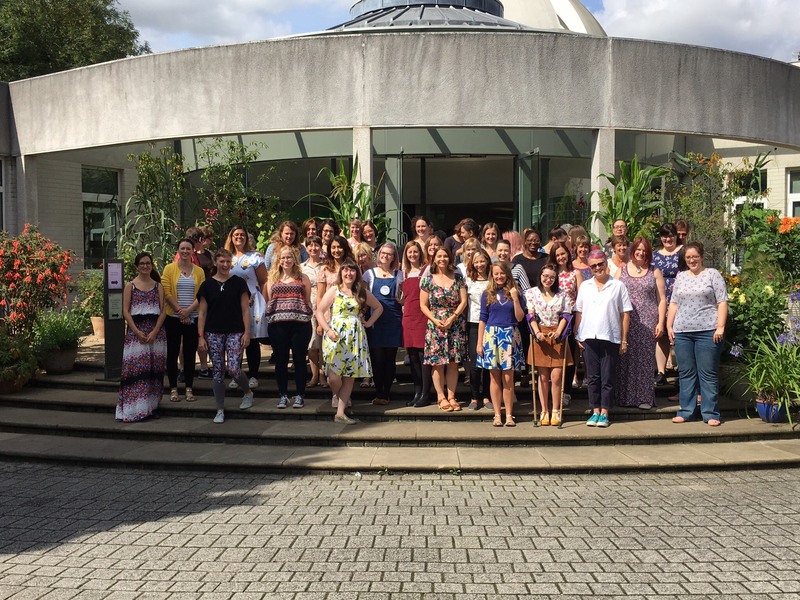 If you want to meet other sewists in real life then follow us on social media and sign up to our newsletter where we share events happening around the world. We publish a weekly blog post called The Sew Reporter, which is packed full of inspiration and will keep you up-to-date with the latest sewing news. If you prefer videos then head over and subscribe to our YouTube channel to watch our vlogs. If you have specific questions or just want to share what you’re sewing right now, join our friendly Facebook group. If you are looking for ideas on what to make, a great place to browse if our thousands of sewing pattern reviews by members of the sewing community. If you are nervous about visiting a shop and not knowing what fabric to buy you can get dressmaking kits that come with fabric and a sewing pattern. Take a look at these from Sew Hayley Jane. Sewing classes are a fantastic way to meet other people who are learning to sew and get to grips with the basics. Take a look at The Sewing Directory to find sewing classes in your local area. There are also a number of online sewing classes that are now available if you prefer to learn at home or aren’t able to travel to a class. We can recommend these classes by Tilly and the Buttons, Sew Over It and The Stitch Sisters. To find out more about The Fold line, what we do and all the resources we have available on our website for dressmakings, head over to our Start Here! page.